... simply complete our Rocket Taxi Trucks Online Form and get a Free Estimate for your job! Please fill in the fields below and submit the form to send us your enquiry. We'll respond back to you shortly (during business hours). 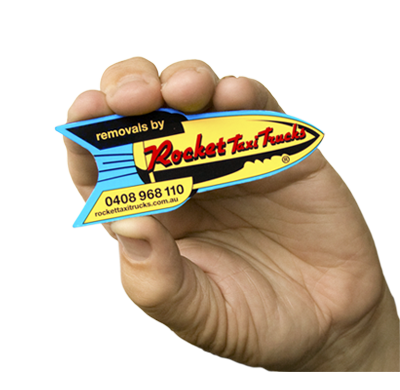 Rocket Taxi Trucks, removals & courier specialists – be moved by Rocket! Are there stairs or an elevator at the pick up and drop off? Is the access close to where we can park the truck? Please include any details about the move that will help us give you a fast and accurate Rocket Estimate. This should include brief details about the amount of items that are going to be moved, anything that is going to be especially large or heavy, and so on. Sorry, but to help us stop spam, can you verify yourself. For more information call Andy on 0408 968 110.